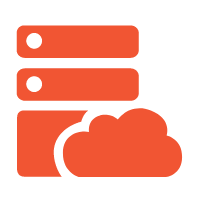 In this article, we will install Cachet Status Page System on an Alibaba Cloud ECS CentOS 7 server to manage page downtime and incidents. You must have Alibaba Cloud Elastic Compute Service (ECS) activated and verified your valid payment method. If you are a new user, you can get a free account in your Alibaba Cloud account. If you don't know about how to set up your ECS instance, you can refer to this tutorial or quick-start guide. Your ECS instance must have at least 1GB RAM and 1 Core processor. It is recommended to upgrade the system and all available packages before installing any new packages. Execute the following command to upgrade the available packages. Once you have your system updated, you will need to install LAMP. So let's install Apache web server, MariaDB and git using the following command. You already know that Cachet is written in PHP so you will need to install PHP. Here we will install PHP 7 but PHP 7 is not available in default YUM repository, so we will first install the EPEL repository using the following command. Now install the Webtatic repository using the following command. Finally, install PHP 7 with required packages for Cachet. You can verify installation of PHP by checking the version PHP using the following command. You should see something similar to this on your terminal. Next, start the Apache web server and enable it to automatically launch at boot time. You can do so using the following command. You will have to install Memcached, which is a distributed memory object caching system. You can use the following command to install Memcached. Next, start Memcached and enable it just like we have done for apache before. You'll need to edit a configuration file to update the timezone according to your area. You can edit the file using any text editor, here we are using nano text editor. Add the following line at the end of the file, change the timezone according to your region. To start MariaDB and enable it to start at boot time using the following command. We recommend you to harden the security of the Cachet data and to do so run following command. You'll be asked to provide a root password so enter an appropriate password and answer yes to all questions by pressing Y. Now you'll have to create a database for Cachet so please follow the instructions. You'll be asked to enter the password so simply enter a password and now execute the following queries to create a new database. The above query will create a database named cachet_data. For the database, you can use any name you prefer in the place of cachet_data. Make sure that you use semicolon at the end of each query as a query always ends with a semicolon. Once the database is created you can create a new user and grant the required permissions to the user for the database. The above query will create a user with username cachet_user. You can use any preferred username instead of cachet_user. Replace StrongPassword with a strong password. Now you can exit from MariaDB prompt using the following command. The composer is a dependency for PHP and you'll have to install it first before installing Cachet. Simply run below commands and they'll do the job for you. 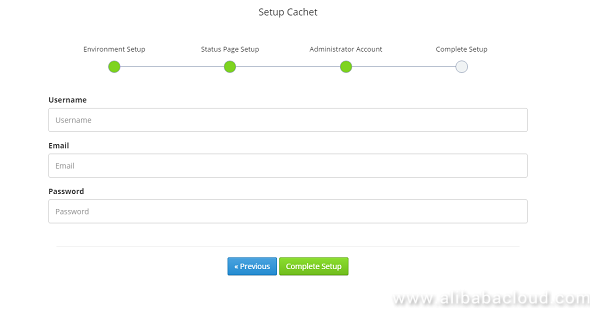 You have installed the LAMP stack and all other required dependencies to install Cachet. Now switch to web root directory and download Cachet from git, using the following command. Now go to the cachet directory. Next, look for the release of software and you can do so using the following command. You should see something similar to this output. Let's check out the latest version of the cachet using the following command. Copy the example environment configuration file. Next, you'll need to edit the environment configuration file using any text editor. Find these below-given lines in the file. Execute the following the command to install required composer dependencies. You'll need to generate and update a unique app key in environment configuration and you can do so using the following commands. You will be asked for confirmation so type Yes and hit Enter button. Next, Run the Cachet installer. Execute the following command and it will do the job for you. You will need to create a virtual host for your application to access it through the web. To create a virtual host use the following command. Add the following content to the file and exit from the editor. Replace YourDomain with the actual domain name that you want to use for Cachet and change the value of ServerAdmin according to you. Restart your Apache web server to apply the changes that we just configured. Next, change the ownership permissions using the following command. You'll need to modify firewall rules to allow HTTP traffic on port 80. Simply execute the following commands one by one and they will do the job for you. Next, temporarily disable SELinux services using the following command. Finally, execute the following commands one by one to finish this installation. Open up your favorite web browser and visit http://YourDomainName/ and you'll see the following web page on the screen. Choose Memcached as cache driver and session driver. Choose mail driver and other details according to your requirement and then click on Next button. 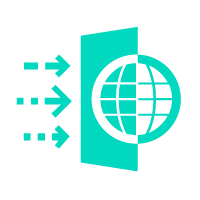 Provide your basic information about your website and select a time zone according to your region. Click on Next button when done. You'll be asked to enter administrative account details like username, email address and password for the admin so simply enter all the details and then finally click on Complete Setup button. You will be informed that Cachet has been configured successfully. You can now click on the Go the dashboard button to log in with your admin credentials and visit Cachet's dashboard page. You can add service components API, websites, incidents, matrices and much more from the Cachet dashboard. You can also schedule maintenance of your application from there. You can set up mechanism to update new incidents or update metric data for this status page. 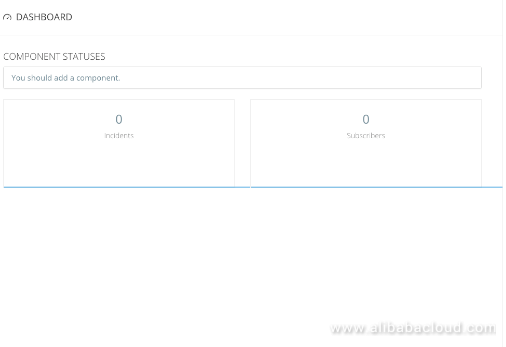 In this tutorial, you have learned to install Cachet Status Page System on an Alibaba Cloud Elastic Compute Service (ECS) CentOS 7 server. You can now use the software to manage downtime and incidents. We hope now you have enough knowledge to work with Cachet.